Why Can’t I Understand the Pastor’s Sermon? As part of the Four-Step Process that we conduct with our patients at their initial consultation, we ask our patients to tell us where they most want help hearing. One of the most common situations mentioned is church, specifically when it comes to hearing a pastor’s sermon. While hearing aids can make improvements in this situation, patients should still have realistic expectations of the capabilities of their technology in these types of settings. One reason why church auditoriums and sanctuaries can cause problems with hearing aids is that the acoustics in these rooms tend to be extremely poor. These environments typically have high, peaked ceilings, a large volume of space, and highly reflective surfaces and walls. The result is a prolonged reverberation time that “smears” speech by eliminating the stops and gaps that allow recognition of the end and beginning of individual words. Additionally, any vaults or peaks in the ceiling can cause dead spots or hot spots in the room, depending on the geometry of the space. To complicate matters, ambient noises like a cough or rustling paper reverberate through these rooms as well, making it even harder to distinguish speech sounds. In these kinds of environments, a person’s hearing loss is compounded by the poor acoustics. Even people with normal hearing are likely to struggle to some degree in such a situation, though their auditory processing systems are better at interpreting the sounds they hear than someone with hearing loss. A pair of hearing aids, even those that are appropriately fit to a patient, might not be enough to help because the quality of the sound they receive is poor due to the physics of the environment. The most effective method of improving sound quality in one of these kinds of rooms is the use of an induction loop system, also called a hearing loop. The hearing loop encircles the congregation’s seating area with a magnetic field. In order to make use of this field, a hearing aid must be equipped with a telecoil enabled for use with a separate program from the hearing aid’s every day settings. This method allows the audio signal of the pastor’s voice to be sent directly to the hearing aid, effectively bypassing any reverberation in the auditorium. Many churches that use a hearing loop system also have small box-shaped receivers that allow the system to be used by congregants who either don’t have hearing aids or who don’t have telecoils in their hearing technology. Another method of managing sound in large auditoriums for a person wearing hearing aids is to use directional microphones. Any digital hearing aid that has directional microphones can programmed to use those microphones to focus solely in front of the hearing aid wearer. The end result is that ambient noise is greatly reduced and reverberation may be reduced slightly. The effectiveness of this method can be increased if hearing aid wearers position themselves directly in front of the loud speakers to receive the sound before the reverberations occur. This is not nearly as effective as a hearing loop system, but can increase the benefit of hearing aids in this situation, especially when the hearing aid does not have a telecoil. Even with the most sophisticated technology, relying on hearing aids alone might not be enough in a church auditorium or sanctuary. As discussed above, it is the physics of the room that is the primary source the difficulty rather than the hearing impairment itself. In such cases, it is very important to have realistic expectations of what a hearing system and hearing technology can do and what it cannot do. It is also very important to inform your hearing care professional of the difficulties you encounter in these situations so that they can work with you and your technology to effectively adjust and program your technology to better meet your needs. For the most part, recent advancements in hearing aid technology have made it easier for more people who struggle with hearing loss to communicate. Hearing aids themselves have become smaller and more adaptable to most types of hearing loss, but sometimes hearing aids are still not enough. As people continue to live longer, more vibrant lives, they may find that they have to be able to effectively listen and communicate in more diverse situations. Poor environmental acoustics, heavy background noise, listening at a distance, classrooms, boardrooms, and other difficult listening environments can sometimes overwhelm the capabilities of even the most sophisticated hearing aids and dramatically affect their efficiency. Hearing Assistive Technologies (HATs) are a great solution in these difficult environments where hearing aids need a little help of their own. Hearing Assistive Technologies (HATs) are devices that can be used with or without hearing aids to help with daily communication. These devices make hearing and listening easier for people that may struggle with hearing and understanding speech, particularly in diverse listening environments. The various HATs can be used to help improve many situations, such as face-to-face communication and reception of electronic media, such as telephone, radio and television. The most recent additions to the broad range of HATs are devices that add wireless connectivity options to hearing aid systems. Nearly every hearing aid manufacturer has developed some sort of connectivity package, and most use one of three methods: Bluetooth, near field magnetic induction, or radio signals in either the very low or very high frequencies. These systems allow hearing aid users to connect their hearing aids directly to phones, TVs, music players, and microphones to improve the performance of the hearing aids. Most of these systems require an adaptor device for the hearing aids, such as a remote or streamer, and a microphone or transmitter adaptor to attach to an audio source. The advantages of such systems are that the wearer can set his or her own volume for television and radio, listen to phone conversations in both ears, and eliminate most background noise in one-on-one communication. Connectivity packages can sometimes be intimidating for patients who are not technologically savvy, as they can include quite a few extra gadgets. Induction loop systems are growing in popularity and have been installed in many high-traffic areas. This symbol indicates that an induction loop is available for the hearing impaired. Induction loop systems are most widely used in large-scale settings, such as airports and auditoriums. They have the ability to magnetically transmit a signal directly to a personal headset or a telecoil in a hearing aid. Venues that employ induction loops typically display a notification symbol to inform patrons of the loop’s availability. Induction systems and telecoils can also be used in the home on a smaller scale to improve hearing while using a telephone or watching television. For in-home applications, the induction loop can sometimes be a more cost-effective and user-friendly connectivity option than other systems. In order to use an induction loop system, a hearing aid must be equipped with a telecoil and programmed for its use. Personal Frequency Modulated (FM) systems can be utilized in a variety of situations in which communication is critical, including boardrooms, classrooms, and one-on-one communication. FM systems are similar to induction loop systems but are typically used on a smaller scale. These devices reduce the effects that reverberation and background noise can have on the transmission of a speech signal. The FM system consists of a microphone and transmitter worn by the speaker and a receiver device used by a listener. This receiver can either be a personal headset or a boot on the bottom of an FM-compatible BTE or RIC hearing aid. FM systems are very reliable and often have better sound quality than other systems, but they also tend to be more cost-prohibitive. An appropriately chosen and programmed HAT system can be a very helpful component of any hearing treatment solution, particularly when a person’s lifestyle needs include situations that can easily overwhelm the capabilities of hearing aids to reduce noise and enhance speech. Just like hearing aids, HAT systems should be customized by a qualified hearing professional to meet a patient’s lifestyle needs. To learn more about HAT systems, call our office and schedule an appointment. Hearingloss.com is a great tool for finding information on hearing loss, better hearing health, audiological services, and other hearing issues such as tinnitus and dizziness. This site utilizes informational videos as well as text posts to enhance the user’s experience. AGXHearing.com is a brand new website that offers a wealth of information on the AGX brand hearing technology. You can look up the different styles and models of the hearing aids, as well as read patient testimonials and find a local AGX provider. If you need even more accurate and relevant information about the journey to better hearing, call us today for an audiological evaluation. Our 4-Step Process helps you identify and communicate when, where and how you want to hear and our experienced hearing professionals can test your hearing and make a recommendation of the most appropriate solution for your unique needs. For most patients, we can fit you with a pair of demo instruments in the office during your hearing aid evaluation so that you can experience first-hand the difference that hearing technology can make. With the holidays approaching, there is no better time to hear what you’ve been missing and our 75-day trial on all instruments means that you can hear with confidence at those important family gatherings. Don’t miss this opportunity to reintroduce yourself to the world of sound! Some of the newest technology is so small that it is practically invisible. Whether behind the ear or deeply within the ear canal, these options fit discreetly and allow for confidence in diverse listening situations. Now is the Time to Try! At Advanced Hearing Care, we are very excited about some of the latest technology options available to treat hearing loss. Some of these truly innovative developments have already made measurable impacts in the quality of some of our patients’ lives. And we’re inviting anyone who wants to experience these truly extraordinary developments to call us for an opportunity to hear what they’ve been missing. For two weeks, we are highlighting some of these developments in new technology. We are reserving our available appointments for anyone who is interested in experiencing the difference that better hearing can make in his or her lifestyle. For those who would like to take advantage of this opportunity, we will conduct a full Four-Step Process consultation appointment as well as an in-office demonstration of an appropriate hearing device system. There are a few trends that are currently developing in the hearing technology industry. One trend is to expand on available wireless accessories and technology, using small wireless antennae to transmit ear-to-ear binaural sound processing signals and enable media streaming capabilities. 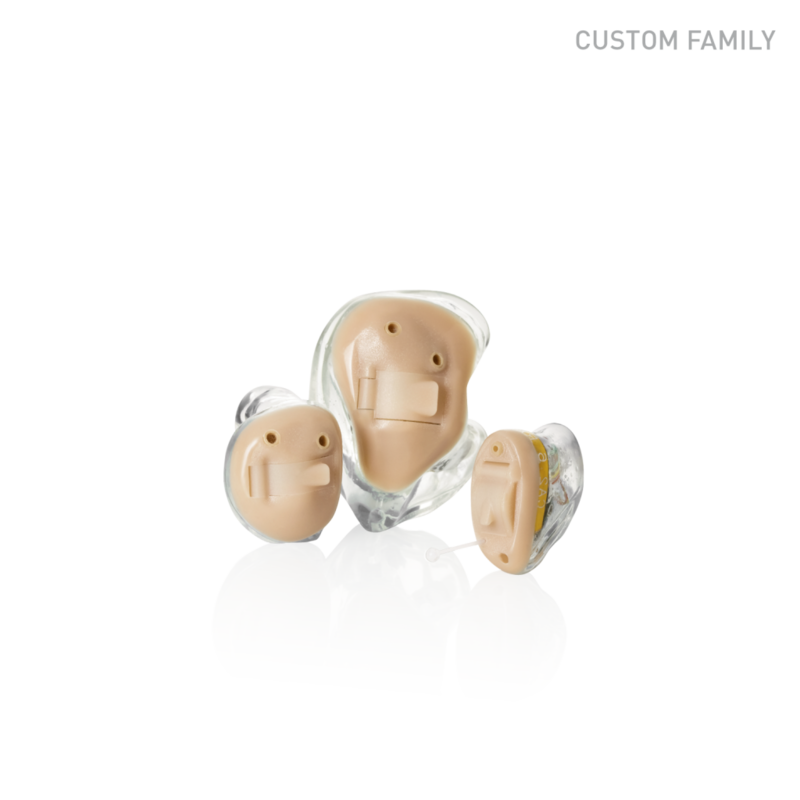 Another is to make the hearing aids as small and discreet as possible, whether they are fit behind the ear or deep within the ear canal. And, of course, hearing aid manufacturers are always trying to improve how well technology performs in very diverse listening environments by refining how the hearing aids reduce background noise and manipulate various features of the technology to improve listening and understanding. If you are struggling with hearing loss, or if you’ve just started to notice that you aren’t hearing like you should, don’t miss this opportunity to educate yourself about your hearing. As hearing health care providers, our professionals specialize in keeping you informed about how your hearing works and what can be done to help you compensate for any hearing loss you may have. Call us for your comprehensive hearing evaluation today and let us reintroduce you to a world of sound! Tinnitus is the perception of a sound that has no external source. Washington, DC, May 3, 2012—The Better Hearing Institute is joining the American Tinnitus Association (ATA) in recognizing National Tinnitus Awareness Week (TAW), May 13 to 19, 2012, and is raising awareness of hearing aids as a potential therapy to help quiet chronic “ringing in the ears.” According to a BHI study published in Hearing Review, 43.5 percent of people with tinnitus were helped at least mildly with hearing aids. And 3 out of 10 were helped moderately-to-substantially. For those whose audiologists used best practices in fitting hearing aids, the figure jumped to 50 percent. There currently is no known cure for tinnitus. Often referred to as “ringing in the ears,” tinnitus is the perception of a sound that has no external source. Tinnitus sufferers commonly describe the noise as a ringing, humming, buzzing, and/or cricket-like. Tinnitus can be constant or intermittent. And it can be heard in one ear, both ears, or in the head. For many who suffer from it, tinnitus can be a source of endless torment and a continual drain on quality-of-life. Nearly thirty million Americans—almost twice as many as previously believed—suffer from persistent, chronic tinnitus, according to the BHI study. That’s about ten percent of the U.S. population. And for people ages 65 to 84, that number jumps to almost 27 percent. Tinnitus is now the number one service-connected disability of returning military personnel from Iraq and Afghanistan. Exposure to extreme noise is the leading cause of tinnitus, and people with tinnitus almost always have accompanying hearing loss. In fact, the study found that respondents with more severe hearing loss were more likely to have tinnitus. Yet, more than a third (39%) of people with hearing loss do not seek help specifically because they have tinnitus. As baby boomers age, people listen to portable music players at high volumes, and more soldiers return from combat, the incidence of both hearing loss and tinnitus is expected to grow. People suffering with tinnitus can find the latest information on their condition and methods for coping with it in an authoritative eGuide, “Your Guide to Tinnitus.” This 14-page guide covers definitions, causes, the impact of tinnitus, treatments, practical tips for managing tinnitus, and good self-help references. “We are very pleased to join ATA this year in promoting Tinnitus Awareness Week and hope that our efforts bring us closer to finding a cure,” Kochkin said. Four in ten people experience their tinnitus more than 80 percent of the time; slightly more than one in four describe their tinnitus as loud; and about one in five describe their tinnitus as disabling or nearly disabling, the BHI study found. People with tinnitus report that it most often affects their ability to hear (39%), concentrate (26%), and sleep (20%). Yet for many, tinnitus is even more pervasive. Twelve percent of respondents—or 3.6 million people when extrapolated to the general population—say their tinnitus affects leisure activities, social life, personal relationships, and emotional or mental health. Seven percent of respondents—or an estimated 2.1 million people nationwide—indicate that tinnitus affects their ability to work. In addition to improving hearing and communication, hearing aids amplify background sound, so the loudness or prominence of the tinnitus is reduced. Simply taking the focus off the tinnitus means relief for many people. Hearing aids also reduce the stress associated with intensive listening by improving communication, which in turn help relieve tinnitus symptoms. Each year, a week is set aside during Better Hearing Month to focus specifically on increasing public awareness about tinnitus and most importantly the need for increased funding for tinnitus research. This year, ATA is “going for gold” in its efforts to raise awareness and encourage people across the United States and around the world to help educate people about “ringing in the ears.” The premiere TAW 2012 event is the Tour de Tinnitus, a new bike ride fundraiser for the organization that was started last year by long time ATA member Mark Church. His efforts last year spawned great interest and the ride has grown to incorporate five new teams that will participate in four separate rides to raise money to support tinnitus research. ATA has developed a TAW 2012 section on their website at ATA.org/TAW2012. 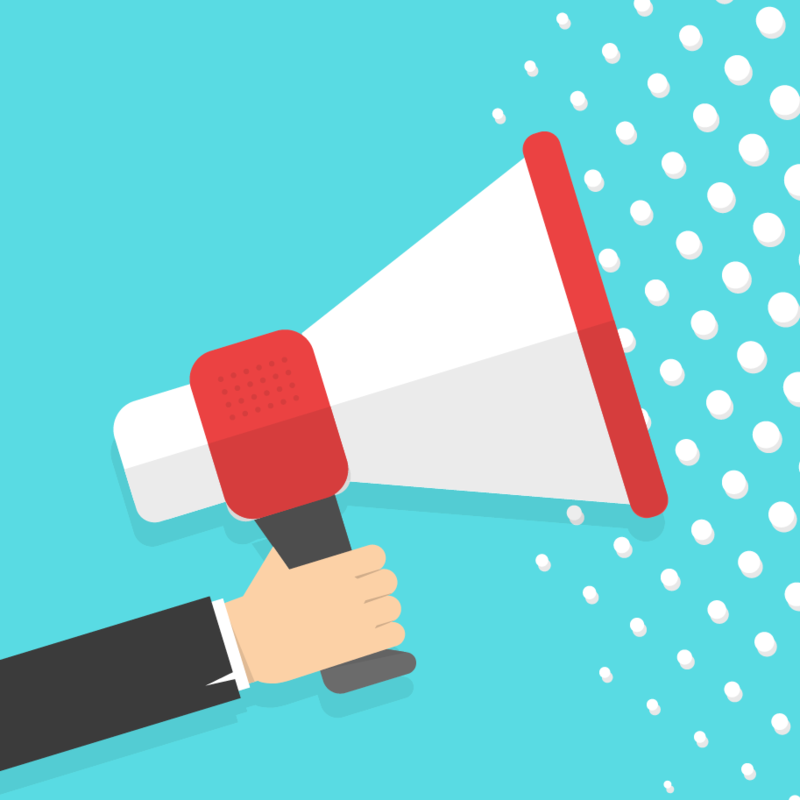 From requesting proclamations from locally and nationally elected officials, to contacting your local media outlets, sharing tinnitus-related crosswords and posters, ATA has all the information you’ll need to get started in raising some serious tinnitus-awareness! Founded in 1973, BHI conducts research and engages in hearing health education with the goal of helping people with hearing loss benefit from proper treatment. For more information on hearing loss, visit www.betterhearing.org. To take the BHI Quick Hearing Check, visit www.hearingcheck.org. To participate in the discussion forum, visit www.betterhearing.org, click on “Discussion Forum,” and go to “Welcome!” to register. The following article was originally posted on the Hearing Care Blog. We’re reposting it today because it is a great explanation of the costs associated with getting new hearing technology. When I talk with patients or family members who have hearing loss, I hear a lot of grousing about the cost of the hearing aids purchased. I mean, those hearing aids are so TINY, they look so fragile… and you’re telling me they will cost HOW much?? Sound familiar? Consumers seeking hearing healthcare help are often surprised at the cost of today’s sophisticated hearing technology. And that’s understandable. A high quality digital hearing aid usually costs between $1000 and $3000, sometimes more when paired with sophisticated bluetooth technology or other assistive listening devices. And in Alabama, hearing devices are also subject to sales tax. Hearing aids are medically regulated devices. As such, the manufacturers who produce these devices are subject to regulation by many organizations, including the FDA, FTC, and FCC. Like many other products in the U. S. marketplace, having to meet regulation specifications by governmental agencies seldom lowers costs, and almost assuredly raises them. As regulated devices, the cost of the research and development (AKA “R & D”) required to bring these products to market is significant, and results in products being more pricey. What does R & D cost, and why is it so important? Consider that the “Big Six” (or the top 6 hearing aid manufacturers in the United States today) spend roughly $500,000,000 annually on R & D, which is quite a lot. To be precise, that figure is 14% of their combined budgets. To put this into perspective, let’s do a percentage comparison. All of us would concede that Apple is certainly cranking out state of the art technology, and undoubtedly this costs the company in terms of product research and development – but by comparison, Apple expends only 2% of its total budget for R & D.
Remember that to date, hearing aids are the only medical devices that involve coupling an electronic device to a sensory organ. This is not an easy task. Today’s instrumentation is incredibly sophisticated, with increased chip speed and capability. 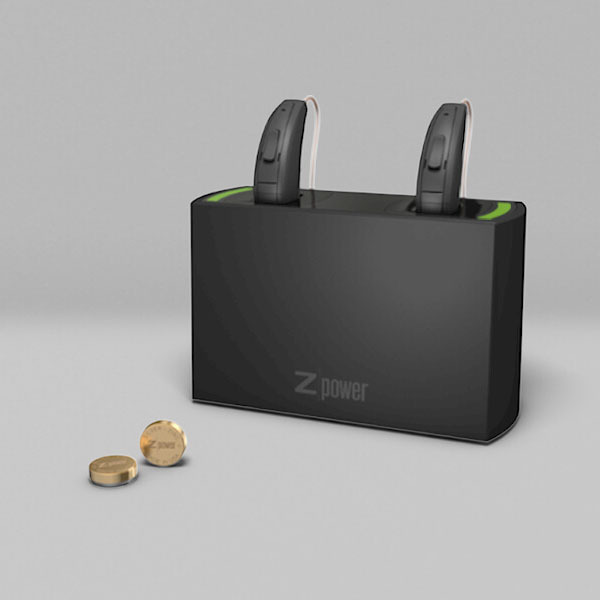 Today’s hearing devices are certainly not your grandmother’s hearing aid! Nevertheless, this type of electronic capability comes with a price… it’s expensive to bring these products to market, and market share remains limited. Hearing aids still have a fairly low market penetration. Of the 37 million Americans who might benefit from amplification, only about 1 in 5 actually utilize the available hearing technology. We have not seen the same price reductions that are inherent to widely used electronic devices like TV’s, computers, cell phones, etc., found in virtually every household. So, what’s the result? Without sufficient market penetration, the product pricing remains higher for everyone. The price you are quoted for hearing aids is seldom “unbundled” – this means that the cost for services of the audiologist or hearing healthcare provider, warranties, repair coverage, etc. is usually “bundled” into the price. Consumers often forget that there are dispensing fees inherent to well fit hearing devices. Are these fees “worth it”? To answer that question, we need only consider success rates (or lack thereof) for some of the “unbundled” personal sound amplification products or hearing aids such often sold on the internet, whose return for credit rate is upwards of 60%! Today's extraordinary technology can come with a hefty price tag. The essential question is: what is my hearing worth to me? Untreated hearing loss results in billions (that’s right… I said BILLIONS) of dollars in lost productivity in the U.S. workforce today. To be exact, unaddressed hearing loss results in 23 billion dollars of lost efficiency/productivity, which costs all of us in the long run. And of course, without today’s sophisticated hearing device capability, the loss in communications ability, life style preservation, and a myriad of other quality of life issues, even for those not employed, costs our society a great deal indeed. There is also a significant body of research that suggests that if you have hearing loss, waiting to get hearing aids can actually compromise word recognition ability. As this data indicates, delaying amplification is not without its own inherent cost. So, despite the fact that the price for hearing aids may be steep at first glance, there are some very good reasons why costs may be higher than we’d like to see. If cost of recommended hearing technology is a concern for you or your family member, talk to your audiologist and explore possibilities for financial assistance or alternative technologies. About the Author: Dr. Bettie B. Borton is a licensed audiologist in Alabama, and was the first audiologist in Montgomery to hold certification by the American Board of Audiology, and is the only audiologist with such certification in private practice in this area. Dr. Borton holds a BS degree with CED Certification in Education of the Deaf from the University of Texas, a Masters degree in audiology from the Louisiana State University Medical Center, and a Doctor of Audiology degree from the the University of Florida. She was a clinical audiologist in the Department of Surgery at UAB between 1990 and 1995, and provided patient care services in The Kirklin Clinic. She has served as a Visiting Professor, teaching associate and Supervising Clinical Audiologist at Auburn University, as well as a Supervising Clinical Audiologist at Auburn Montgomery. Dr. Borton was a charter member of the Alabama Academy of Audiology (ALAA), and served as President of this organization. She has also served on the Board of Governors for the American Board of Audiology (ABA), and is the former National Chair of the ABA. Dr. Borton is currently the CEO and Director of Doctors Hearing Clinic, a full service private practice in Audiology. In April of 2010 Dr. Borton was elected to the Board of Directors of the American Academy of Audiology, and will serve a three year term in that capacity. She is the first (and to date, only) audiologist from Alabama to have been elected to the Academy Board. Dr. Borton was honored as a 2010 recipient of the prestigious Oticon “Focus on People” award, which annually recognizes 12 individuals across the nation for their dedication to helping those with hearing impairment.